Peace of mind. We depend on our security system for that. But what can we do beyond this protection? What else can we do to protect our loved ones and property, even when we are not there? It might be time to look into Surveillance Cameras. Cameras, combined with today’s technology and smart applications give us the opportunity to know exactly what is going on wherever a camera is pointed, in real time, no matter where we are. These same devices allow us to look back in time with a recorded history of events. How is this helpful? Overt cameras can be an effective deterrent to crime and misbehavior. A recorded history provides the ability to apprehend a suspect after a crime occurs. The knowledge of a camera’s presence may have a positive impact on employee productivity. Peace of mind while your children, and other loved ones are in the care of others. The options for cameras and peripherals are endless. They include DVR’s, wired and wireless cameras, various power supply options, and mobile devices. Integrating these items with each other, and your existing security system require the proper and thoughtful design. This is where Wave comes in. Our design is based on a thorough onsite survey of the area to be covered; we then use our expertise to search through our list of high-end partners and products to choose the best system to fit within your budget and needs. Once the contract is accepted we provide an installation that meets both industry and electrical code requirements. 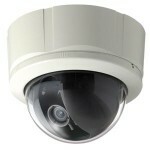 Choose from cameras that see in the dark, large and small cameras, bullet, dome and hooded cameras… even hidden cameras! View your home or business from any computer over the Internet from any PC or smart phone. Install a camera at your front door to see who is there. Time lapse and digital video recorded keep a log of what goes on around your home. Motion based or continuous recording settings. Triggered “events” can send an alert to your email. If you are thinking about adding this valuable layer of security and peace of mind, please contact us for a no risk consultation. Alarm system in Meriden CT – Made more Convenient!